In the town of Nara, Japan, deer and people live side by side. 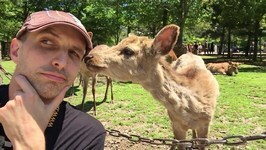 The deer are centralized at Nara Park, but can be found wandering on nearby sidewalks. 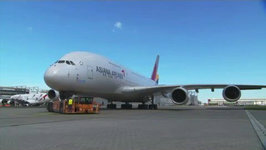 Fly Asiana Airlines to Seoul South Korea on the new A380 Airbus. Join Nathan Seamus of Travel With Kids as they explore the amenities and enjoy Business Smartium class ..